ISM solid shaft and BSM backstop modules represent a great new deal in Varvel product lines being installed on most gearbox version input in "S" with flexible coupling "G" in a few minutes and with a simple wrench. Regarding the ISM Input Shaft Module, the input shaft is supported by two 2RS type sealed ball bearings that do not need lubrication. 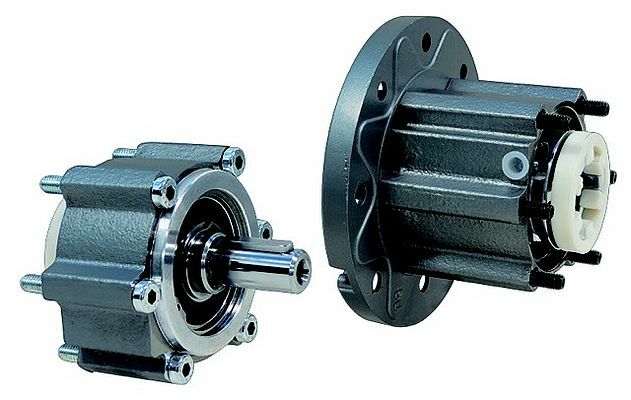 A half flexible coupling is provided at the output to match the corresponding Varvel gearbox. The BSM Back-Stop Module is built in two versions, output shaft with ball bearing and back-stop bearing, and IEC or NEMA flange with only back-stop bearing, allowing the same fitting to Varvel gearboxes as above.